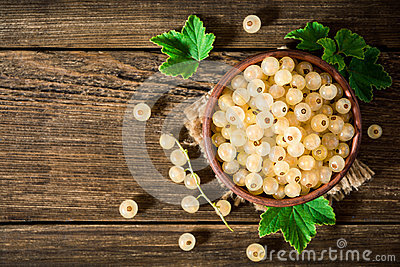 Fresh white currant in ceramic bowl on dark wooden background. Fresh white currant in ceramic bowl on dark wooden background. Top view.